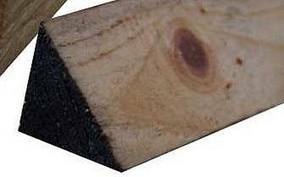 A triangular section of timber, commonly used for shuttering and formwork. The dimensions of our ex-stock fillet are shown below. Other sizes are available on request.